Why Do We Need to Teach Creativity? What Abilities Need to Be Trained? Creativity is like an iceberg - the resulting new idea, or novel solution is only 10% of the effort. The other 90% is the complex interplay of thinking skills and strategies, personal and motivational properties that activate these skills and strategies, and the social and organizational factors of the environment that influence the creative process. 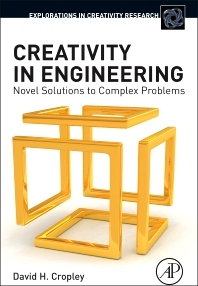 Creativity in Engineering focuses on the Process, Person, Product, and Place to understand when and why creativity happens in the engineering environment and how it can be further encouraged.